As discussed in Wednesday’s post, Minot, North Dakota, is in the middle of experiencing a record levee flood. As of writing this, 12,000 or so residents have been evacuated from their homes in this town of roughly 40,000 people. 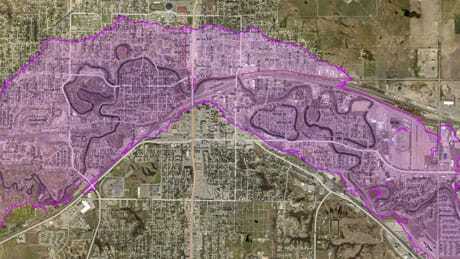 The picture below shows the predicted extent of the flood waters. The video below gives an aerial perspective of the flooding, including the levee breach. The coverage is from late Wednesday evening. The peak flow is not expected to hit until Sunday. However, the National Weather Service predictions have been high so far so there is a chance that the flooding will not be as worse as predicted. Let’s hope that is the case! Written by: Anthony Alvarado on June 23, 2011.